It’s been so crazy in my head for the past week that I’ve simply not had the time to write a blogpost so my amazing streak of two posts a week has slowed down :(. This Thursday is Thanksgiving, as I’m sure we are all aware, and I’m making lists of everything I might possibly need to make it all perfect. Just because Italy doesn’t celebrate Thanksgiving doesn’t mean we’re not planning on going all out, so my last few nights have been spent just pouring over all the information out there on turkeys, casseroles, pumpkin pies, etc. But we’ll talk more about that on Friday, when I do my first full Thanksgiving in Rome post! 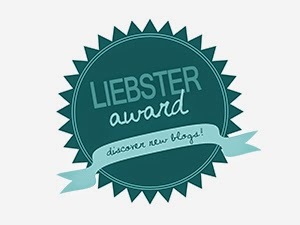 Because of how busy I am, it’s the perfect opportunity to talk about my Liebster award nomination by the wonderful Stacey over at One Trip at a Time! I received her message about her nomination last week while I was in Vienna and I loved the idea of the award. I tried to look up the origins, but its basically been lost among the whole chain linking of blogs. As Stacey explained so eloquently, the Liebster award isn’t the type of award that has judges or a criteria to receive it. It’s simply a way for bloggers to share some of their favorite small, newbie blogs and spread the internet love! I had never heard of it before so I tried to look up the origins, but its basically been lost among the whole chain linking of blogs. Regardless, along the way I found three or four blogs I liked enough to follow on BlogLovin’ so the Liebster has served its purpose! Since I’m not really one to do extremely personal posts, this is a great way for me to share some things about myself with you guys, the readers. If you’re more into the travel pictures, tips, and general wanderlust (as I am) just bear with me this one post :). 1. What three things do you always pack on a trip? My number one most important thing that I always pack for any trip is my hair iron (or sometimes my blow dryer). Unless its primarily a beach trip, I try to always do my hair on a trip otherwise I’ll end up hating any pictures I take. And as Jaime always says, I’m obsessed with my hair (it is true, though). Other than that, I always take my camera, no matter how small and insignificant the trip is. Lately, I’ve also been taking the iPad everywhere I go, with some ebooks saved for reading. 2. What is the best meal you’ve ever had and where did you have it? This is one of those hard questions that I actually have more than one answer to…The first place that came to my mind was Morimoto’s in Honolulu, where we had an amazing dinner. I’ll never forget the bass I had that had been completely deboned but still kept its shape (not sure if I’m explaining it correctly, but if you go to TripAdvisor someone is bound to have posted a picture of it). But another place that I can’t help but mention is Pupatella in Arlington, VA. It’s a Neapolitan pizzeria, and yes I know I live in Italy and can have Neapolitan pizza whenever I want….but…there’s something about this place that really makes it hard for me to forget it. Maybe it’s because it was the first true Neapolitan pizza I ever had, but whatever it is, if you’re in D.C., make the trip to Pupatella. I haven’t been to every pizzeria in the States, but I guarantee its one of the best in the country. 3. Where are you planning to go on your next trip? Well, we just got back from Vienna last week and the next trip that’s already planned is in December to Switzerland and some of the towns in Northern Italy. However, between now and then, I’m sure we’ll probably sneak a weekend getaway somewhere close by! 4. What’s your favorite blogpost that you’ve written? Share the link! One of my favorite posts is a recent one, my post on Italy’s most underrated city: Turin. I absolutely loved this city and it was very fun to be able to relive the entire trip in one post. There’s something to be said about writing posts on old trips because it’s almost like going there all over again as you write. If I’m not doing the whole housewife gig, you can find me reading, watching TV shows online (right now I’m slowly making my way through Full House), or blogging of course! Great answers! Like you I don’t do too many really personal posts so it was a good way to share a little about myself too. Haha, yes we are so lucky to be close to everything. Coming to Europe from the United States is a much harder endeavor so we are taking full advantage while we can! Thanks again for the nomination, Stacey!